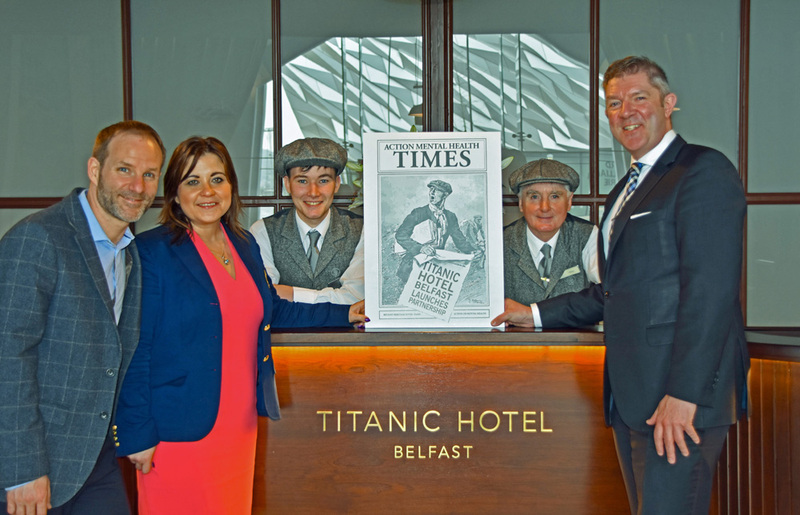 Jonny Smyth, Fundraising and Communications Manager, Action Mental Health, catches up on the latest headlines with Titanic Hotel Belfast’s Lydia Gourley, HR Manager; Paddy Smith; William McIlroy; and General Manager, Adrian McNally. BELFAST’S newest hotel has announced that Action Mental Health will be its charity partner for 2018/19. The local charity works to enhance the quality of life and the employability of people with mental ill-health across Northern Ireland as well promoting well-being and resilience to future generations. In the UK, more than 10 million working days are lost to stress, depression, and anxiety every year, costing more than £10 billion a year to the economy. Work in hotels including shift-work, high level customer service and tight schedules can be a fast-moving and stressful environment. “Mental health is a cross cutting issue in Northern Ireland with one in five people here affected by mental ill-health. When you consider the number of people working in hospitality and using hospitality services, hotels such as ours are in a unique position to impact people’s lives for the better”. “‘We are extremely pleased that Titanic Hotel Belfast has chosen to focus on and support mental health and well-being in the coming year and we are delighted to have the support of a business so immersed in our local heritage, adding such an exciting new chapter to the enduring and iconic Titanic story. Our team at AMH will work closely with Titanic Hotel to host a number of fundraising activities and events to raise much needed funds and awareness, tackle stigma and promote positive mental health’. 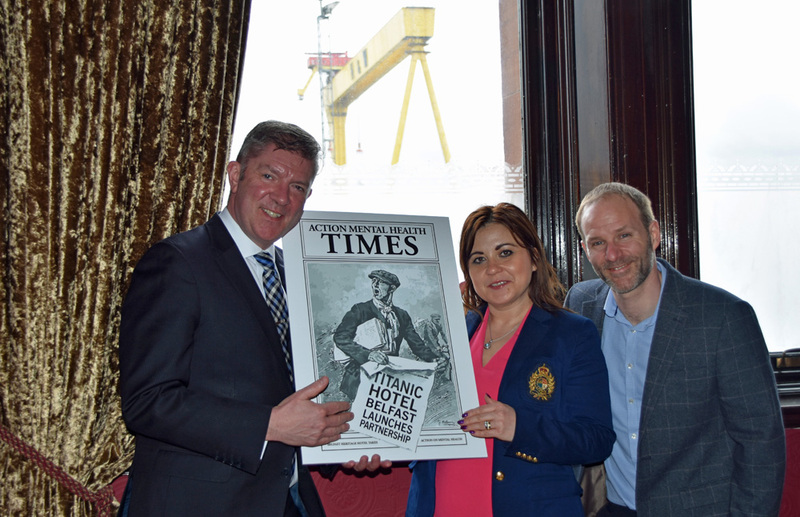 Titanic Hotel Belfast’s General Manager Adrian McNally shares the good news splash with Lydia Gourley, the hotel’s HR Manager, and Jonny Smyth, Fundraising and Communications Manager, Action Mental Health, in the hotel’s Chairman’s Office.